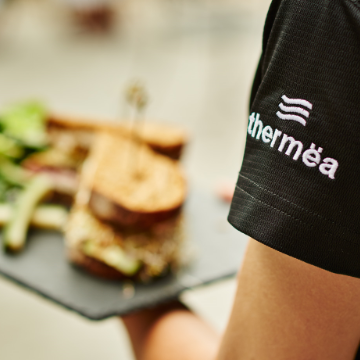 Here is what's new at Thermëa! The thermal cycle is THE star of the show at Thermëa! In October, discover everything there is to know about thermotherapy. Learn the steps to follow and the different ways to apply them according to your level of tolerance. 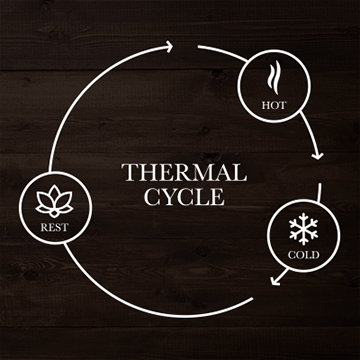 What type of thermal cycle works best for you? Discover it with a guided thermal cycle, led by Thermëa ambassadors offered daily at 11 a.m. and 3 p.m. Thermotherapy will become an essential part to incorporate into your wellness routine. *Some conditions apply. Valid Monday to Thursday until December 20, 2018. Enjoy our drinks and food menu in a new casual and convivial atmosphere: the Lounge. 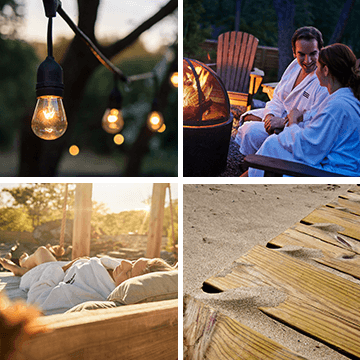 Sit comfortably around our new fireplace or in the shaded patio overlooking the spa and share a meal, a cocktail, a glass of wine or a beer from our new extended menu featuring Ontario Beau’s organic craft beers. Allow yourself to get out of your daily routine and head towards Ëdena, the forest beach. Feeling the sand between your toes, lay down in a long chair, in a hammock or in a cozy bed and let the summer breeze caress your skin. Your vacation starts here. 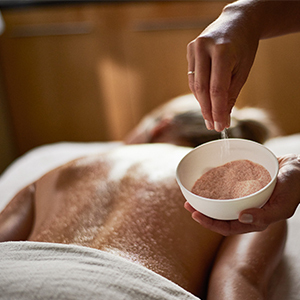 Starting April 23, our Nordik estheticians will offer a new Himalayan salt body treatment. Discover the many virtues of this exfoliating body treatment and antibacterial pink crystal salt, which was formed 250 million years ago in northern Pakistan. Four warm Himalayan salt stones are placed on your back. The heat transports you into a soothing atmosphere. Then you are rubbed with Himalayan salt stones, which opens your skin pores to prepare for exfoliation, the treatment’s final stage. Our exfoliating scrub recipe, which combines Himalayan salt grains and a blend of Comfort Zone essential oils, helps purify the body, regenerate and soften the skin while producing a calming effect. Scrubbing helps remove dead skin, stimulate circulation, reduce cellulite and improve the health of your skin. All this is topped off with a generous, enveloping application of a rich, superior quality moisturizing cream. This is what body treatment is all about! Buried for millennia, this salt oxidized when it came into contact with the iron present beneath the earth, which gives it its characteristic pink colour. It is extremely rich in mineral salts, magnesium and iodine, and nutrients that have not been exposed to modern air pollutants and contribute to cell regeneration. The new Himalayan salt body treatment is a real experience in itself! Due to the Aufguss popularity, Thermëa offers six Aufguss rituals every day in the Finlandia sauna so that more guests can experience this spectacular ritual. Here is the new Aufguss ritual schedule: Every day at 11 :00, 13 :00, 15 :00, 17 :00, 19 :00 and 21 :00. 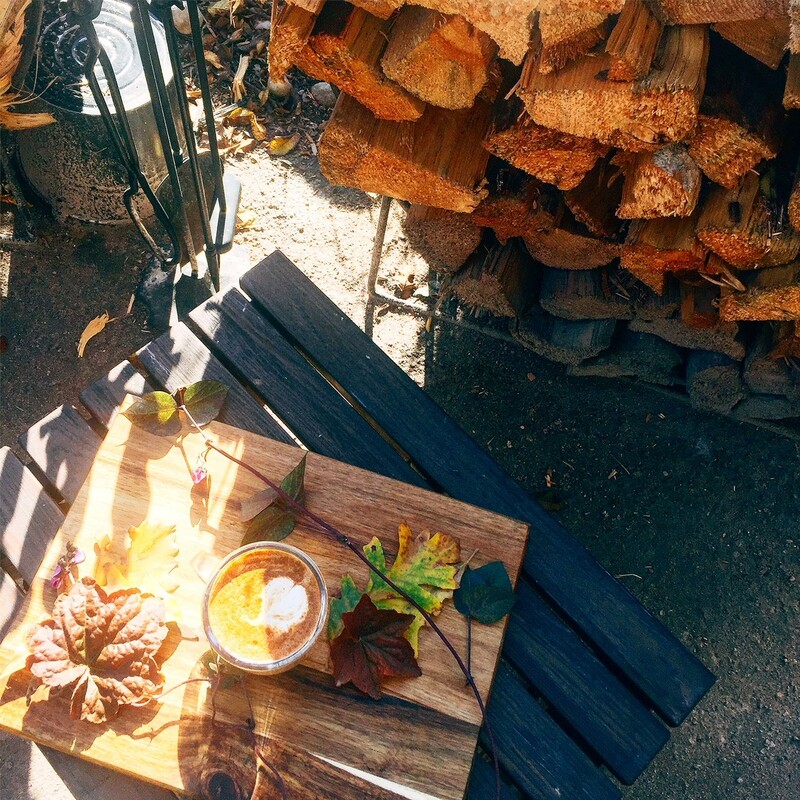 Autumn is the perfect season for hygge: enjoy a hot drink, cozy in a bathrobe while relaxing by the fire. Discover our Micro Ground Chai, made by hand with a unique process that pulverizes the black tea and spices. The result is one of the spiciest chai teas on the market. Served as a latte at Restö.